In The Name Of Allah, The Beneficent. The Merciful. 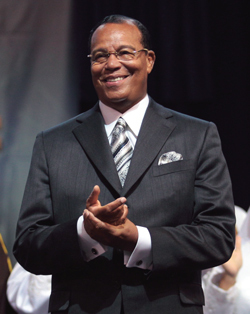 The Honorable Minister Louis Farrakhan’s keynote address, “Muhammad’s Economic Blueprint: Ending Poverty and Want,” was the absolute highlight of my Saviours’ Day 2013 mental, physical and spiritual journey. As with his 52-week lecture series, “The Time and What Must Be Done” (www.noi.org/thetime), now in its 8th installment, Min. Farrakhan’s keynote address for Saviours’ Day is filled with guidance that means either life or death for listeners if his message is heeded or ignored. Not to be misunderstood: I’m clear that any word he’s spoken and is speaking, including his recent message at St. Sabinah Catholic Church in Chicago, his message from Grand Rapids, Michigan, and currently, his messages being distributed on his current Caribbean tour, are all very significant and we must pay very close attention to the warnings and instructions in each of them. So, I am still studying his Saviours’ Day address. I am still on Part 1 of the 2 disc dvd. I’m grateful that Allah blessed, allowed, my family and I to be in number with the Muslims and guests from throughout the world for our Saviours’ Day Convention. Each year we honor the birth (Feb. 26, 1877) of our Saviour, Master W. Fard Muhammad, who is now 136 years old. 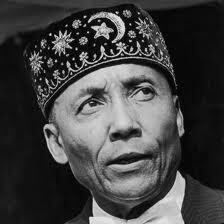 This year also marks the Nation of Islam’s 83rd year of existence in North America. 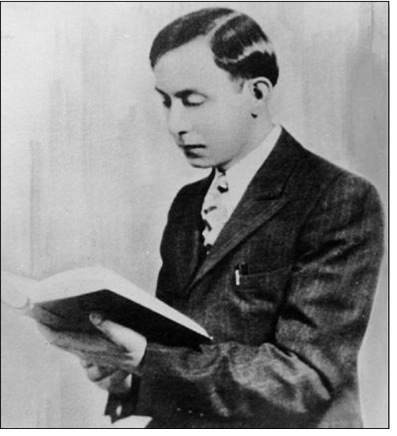 Master Fard Muhammad raised up the Honorable Elijah Muhammad, who immediately went to work to help get His people. We had been robbed of our name, language, religion. And Master Fard Muhammad made for him a helper in Minister Louis Farrakhan. Min. Farrakhan has been faithful, steadfast, diligent, sacrificial, obedient, loving, studious - I can’t think of enough words to really accurately describe what this divine man has been doing and is still doing for not just Black people of America and the world, but for humanity. I’ve said all that to say during one of my first assignments for The Final Call Newspaper’s coverage of SD2013, I met Sirlena Smith, this beautiful sister from Atlantic City, N.J. Just look at her smile!! Unbeknownst to her, she really helped set the tone for my entire convention experience and I am grateful to Allah for her and thank her for sharing her words and her spirit with me. Usually there's so much effort to be at, work through and soak in Saviours' Day. But this year was totally different. So easy. So pleasant, overall. (Proper Handling of People is an every day lesson for all of us.) But it just flowed for me. I’m thankful to Student Western Region MGT-GCC Captain Arisah Muhammad for sending Student First Lt. Darquel Muhammad to let me know this sister was present. So I begin my Saviours’ Day 2013 Chronicles with this very impromptu, unedited video interview with Ms. Sirlena Smith because it reminds me, this is what it’s all about. Nevermind my theatrics, my emotional excitement, and my sometimes speechlessness, okay! LOL!! I know you might be thinking: "Wow! SD2013 is over. She's late!" But it's not. Saviours' Day is every day. Plus, I work to help capture the moments for The Final Call and sometimes run out of time to post pics and videos, but what Allah did bless me to see, hear, feel, I will share it here. Just another note: At a time when people are being made afraid to embrace the Honorable Minister Louis Farrakhan and the Nation of Islam, and staying away purely out of ignorance or envy and jealously, Ms. Smith, who has never been to a Nation Of Islam mosque meeting, nor Saviours’ Day before, came to be with us. And like Master Fard Muhammad, she came alone. If her words inspire you as much as they inspire me, please share them. Thank you. Happy Saviours' Day! And Peace! 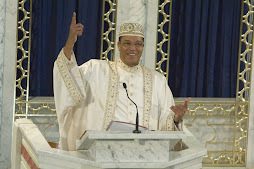 Minister Louis Farrakhan: "It's All in Our Hands!" 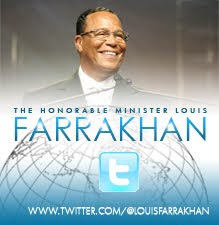 Follow The Honorable Minister Louis Farrakhan on Twitter! 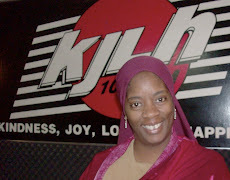 Saturdays, 1-1:30 PM Pacific Standard Time / Various hosts/topics from a Black woman's perspective. As former producer of the Front Page, I got a daily, ring side seat to news and analysis from some of the most hard-hitting scholars our communities have produced, many you're already familiar with. The show features daily listener comments and questions and on Mondays, I produced the Next Page, a mini-feature on issues impacting our people, but that were buried in the news. .